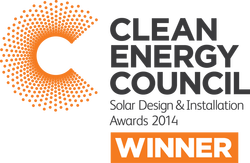 In 2014, Next Power was the winner of the Clean Energy Design and Installation Awards over 100 kW category. This is a national award that recognises the very best solar PV installations each year. The WALGA One70 installation caught the eye of the judges as all aspects of the installation were extremely challenging. Furthermore, the design requirements far exceeded that of the majority of other installs. The winner was announced on the 24th of July 2014. The Western Australian Local Government Association (WALGA) undertook a rigorous process to identify key solar PV suppliers that local government organisations could depend on. Next Power was one of the original companies chosen for this and his since performed many installations on government buildings throughout Western Australia. The preferred supplier program has been a mutually beneficial relationship that has resulted in many high quality installations. The Sustainable Energy Association (SEA) is an organisation that provides great support to the development of all sustainable energy initiatives in the country. They rely on the support of like minded individuals and organisations in order to continue their work in developing our industry. Next Power has provided assistance to the SEA for many years, and as such has been awarded Corporate Membership of the SEA. Next Power hopes that the SEA can continue it's great work promoting all sustainable energy initiatives and intends to continue providing support over the coming years.